Preserving The Wisdom Of The Ancient Chumash Culture And Linking It To Present Day Environmental Issues. 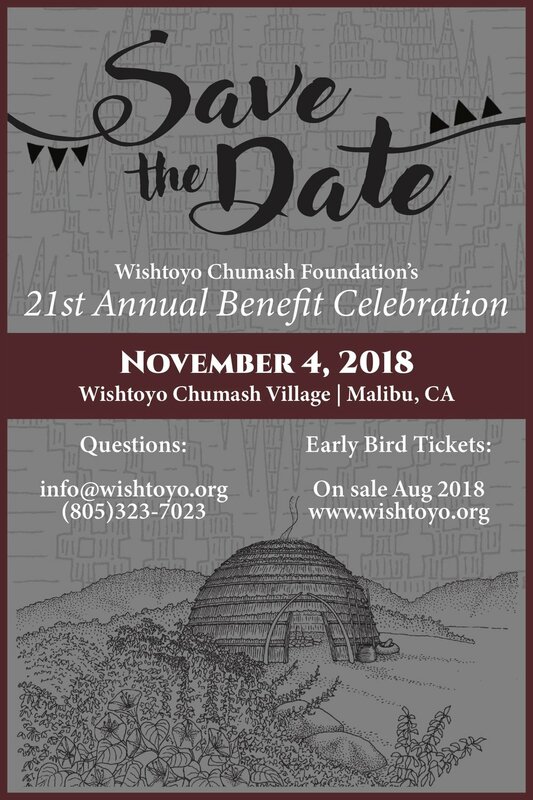 Join us in celebrating 21 years of Wishtoyo Chumash Foundation - protecting the health and well-being of our communities and all living beings, now and for generations to come. You are invited to an evening of good food and great company as we come together to celebrate another year of Wishtoyo and the people that make our work possible. Dinner, drinks, entertainment, awards ceremony, and access to our silent auction are all included at Wishtoyo Chumash Village. Early Bird ticket pricing will be available on Friday, August 24th. Mark your calendars because you won't want to miss this year's event! More details coming soon. CLICK HERE to purchase tickets. Kiyaqʰinalin - Thank you and we hope to see you there!